Bicuspid aortic valve (BAV) disease is the most common congenital defect with a prevalence of 1–2% in the population. Patients with BAV are at risk to develop a number of conditions including aortic complications, aortic valve stenosis and aortic valve insufficiency (AI). Patients with severe, symptomatic aortic insufficiency experienced increased risk of heart failure and death. While aortic valve replacement is a highly effective treatment that remains the criterion standard, aortic valve repair (AVR) offers a number of potential advantages. 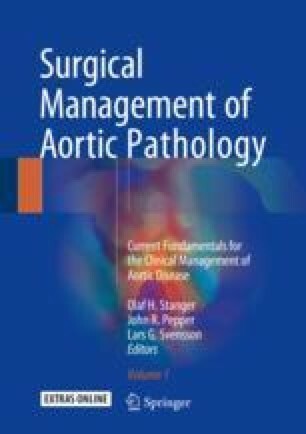 The development of effective and durable techniques, for leaflet repair and aortic annulus reconstruction, has enabled the repair of the regurgitant aortic valve in selected patients. The primary goal of AVR is to restore a durable surface of coaptation to the regurgitant valve. A detailed understanding of the functional anatomy of the aortic root and mechanisms of AI are critical. A number of techniques have been developed to reconstruct these valves including annuloplasty and leaflet repairs. A number of experienced centers have reported durable long-term results, with good long-term survival and freedom from reoperation beyond 15 years in at some centers. Long term comparison between repair and biological valve replacements have shown that beyond approximately 11 years, patients with repairs have a lower risk of both reoperation and mortality.